Dr. Oelke graduated with her BScN at the University of Alberta. She received both her MN and PhD at the University of Calgary. Dr. Oelke has worked in a variety of areas in nursing practice (medicine, pediatrics, and public health) and nursing education. 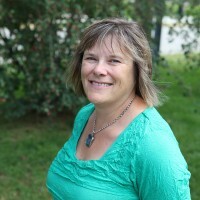 Prior to coming to UBC Okanagan she worked for the Health Systems and Workforce Research Unit with Alberta Health Services in applied research. She came to UBC Okanagan in 2011. She has taught undergraduate and graduate courses in nursing research, health policy, and community practice. Her program of research focuses on health services research in primary health care. Specific interests include integrated health services, policy, interprofessional collaborative practice, chronic disease management, and mental health and well-being. PhD – Completed doctoral degree in Interdisciplinary Studies. Dissertation focused on the primary health care system for urban Aboriginal peoples in a large western Canadian city. MN – Focus on community health; thesis topic looked at cervical cancer screening for women in the Sikh community. My program of research focuses on integrated health services, with a specific emphasis on primary health care. Integrated health systems are an important component of health care desired by policy-makers, decision-makers, providers and patients. Integration has been the topic of health care reform locally, provincially, nationally and internationally. Better understanding how health services and systems can be integrated and then being able to measure integration are important areas for research. Given the demographics of our population (e.g., aging, chronic disease, diversity) and significant health human resource issues new approaches to health service delivery are required to ensure integration, quality of care and sustainability. More research is needed in the redesign of primary care and primary healthcare models, testing these models, and measuring outcomes. Dr. Oelke also has a strong collaborative partnership with researchers at the Universidade Federal do Rio Grande do Sul in Porto Alegre, Brazil. My approach to teaching is based on creating a collaborative partnership for learning between student and teacher. Both teacher and student have obligations to the partnership and need to be committed to the process of education and learning. I teach both undergraduate and graduate courses including nursing research, health care policy, nursing leadership, and community practicum. I have supervised both masters and PhD students. Over the last 3 years I have supervised 7 graduate students (6 MSN and 1 PhD) at UBC Okanagan and 2 PhD students from Brazil. ND. Oelke (PI), “Creating a research team to address mental health for older adults in rural communities in south central British Columbia,” CIHR, January – December, 2015. ND. Oelke (PI), E. Suter (Co-PI), & MA. Lima (Co-PI). “Indicators and measurement tools for health systems integration: A knowledge synthesis,” CIHR, October 2014 – September 2015. M. Teo (PI) & ND. Oelke (Co-PI). “An integrated model of care for Fibromyalgia patients in Penticton, BC,” South Okanagan Similkameen Research Foundation, January 2015 – March 2016. K. Rush (PI), ND. Oelke (CI). “Towards integrated care using a risk model with older adults in rural and small urban communities: a pilot study of older adults with atrial fibrillation.” CIHR, January 2013 – December 2014. ND. Oelke (PI). “Using a research process to facilitate the integration of nurse practitioners in primary healthcare.” Interior Health Authority, March 2013 – June 2014. ND. Oelke (PI). “Integration of prevention into chronic disease management models of care.” Institute for Healthy Living and Chronic Disease Prevention, January 2013 – June 2014. K. Rush (PI), ND. Oelke (Co-PI), F. Goma (Co-PI). Hypertension: Multiple perspectives of Zambian adults.” Faculty of Health and Social Development, UBC Okanagan, January 2013 – June 2015. E. Suter (PI), ND. Oelke (CI). “A systematic review: Exploring the relationship between governance models in health care and health workforce transformation.” CIHR, April 2012 – June 2013. E. Suter (PI), ND. Oelke (Co-PI). “An exploratory study of interprofessional teams in Primary Care Networks in Alberta.” Alberta Health and Wellness, March 2012 – June 2013. ND. Oelke (PI). “Developing an integrated community-based chronic disease model in rural communities and small urban centres.” Faculty of Health and Social Development, UBC Okanagan, January 2012 – December 2013. ND. Oelke (PI), J. Bottorff (Co-PI). “Developing an Alberta/BC research team to address a research agenda in chronic disease management in small urban and rural communities.” CIHR, October 2011 – December 2012. WE. Thurston (PI), ND. Oelke (CI). “Understanding Cultural Safety: Traditional and client perspectives.” Alberta Homeless Research Consortium/University of Calgary, October 2011 – June 2012. Oelke, ND., Suter, E., Lima, MA., Van Vliet-Brown, C. Indicators and measurement tools for health systems integration: A knowledge synthesis protocol. Systematic Reviews. In press. Oelke, ND., Lima, MA., & Acosta, A. (2015). Knowledge Translation: Translating research into policy and practice. Invited submission to Revista Gaucha de Enfermagem. In press. Oelke, ND., Rush, K., Goma, F., Barker, J., & Marck, P. Understanding Perceptions and Practices of Hypertension of Zambian Adults: An exploratory descriptive study. Global Journal for Health Sciences. In press. Rush, K., Oelke, ND., Reid, RC. & Shay, M. (2015). The diverse journeys of rural older adults in atrial fibrillation. European Journal of Patient-Centred Healthcare. In press. Oelke, ND. (2014). The benefits of international university partnerships: The perspectives of a Canadian faculty member. Revista Gaucha de Enfermagem, 35(1). Winsenk, L. & Oelke, ND. (2013). Relational Engagement and Borderline Personality Disorder. Journal of Ethics in Mental Health, 8, 1-4. Oelke, ND., Besner, J., & Carter, R. (2013). The Evolving Role of Nurses in Primary Care Medical Settings. International Journal of Nursing Practice. Article first published online: 15 NOV 2013 | DOI: 10.1111/ijn.12219. Oelke, ND., Thurston, WE., & Arthur, N. (2013). Intersections between Interprofessional Practice, Cultural Competency and Primary Healthcare. Journal of Interprofessional Care, 27(5), 367-372. O’Beirne, M., Zwicker, K., Sterling, PD., Lait, J., Lee-Robertson, H., & Oelke, N. (2013). The status of accreditation in primary care. Quality in Primary Care, 21, 23-31. Jackson, K., Oelke, ND., Besner, J., & Harrison, A. (2012). Patient journey: Implications for improving and integrating care among older adults with chronic obstructive pulmonary disease. Canadian Journal on Aging, 31(2), 223-233. White, D., Oelke, ND., & Friesen, S. (2012). Management of a large qualitative data set: Establishing trustworthiness of the data. International Journal of Qualitative Methods, 11(3), 244-258. Oelke, ND. Sawchenko, L., Mendel, D., Plamondon, K., Arsenault, D., & Stanley, B. (2015). What is the role of a Nurse Practitioner? Kelowna, BC. Available at: https://www.youtube.com/watch?v=EBD4ynkv2ec. PI for the study and led the development of the video. Oelke, ND. Sawchenko, L., Mendel, D., Plamondon, K., Arsenault, D., & Stanley, B. (2015). How are Nurse Practitioners integrated in the health-care team? Kelowna, BC. Available at: https://www.youtube.com/watch?v=uh2PKmGI22g. PI for the study and led the development of the video. Oelke, ND. Sawchenko, L., Mendel, D., Plamondon, K., Arsenault, D., & Stanley, B. (2015). What impacts do Nurse Practitioners bring to health-care systems? Kelowna, BC. Available at: https://www.youtube.com/watch?v=S8TUmYv1lDw. PI for the study and led the development of the video.